Paul K. Matthias is the Sr. Program Manager and Chief Engineer at the Woods Hole Oceanographic Institution for the Ocean Observatories Initiative (OOI) Program, one of the National Science Foundation’s Major Facilities. Prior to this appointment, Matthias served as a Sr. 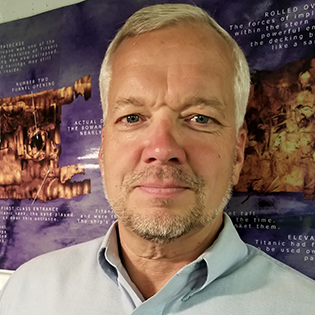 Manager and Technical Director at Raytheon Integrated Defense Systems (IDS), where he led the design and development of both the Acoustic and Display Systems for the US Navy Zumwalt Destroyer. While at Raytheon, Matthias was designated as a Raytheon Acoustic Subject Matter Expert, and an Earned Value and Systems Engineering Instructor. Matthias previously owned and operated Polaris Imaging, Inc., an ocean engineering company that provided ocean imaging systems and services. Matthias has a B.S. in Marine Science from Penn State University, an M.S. in Oceanography from Texas A&M University, an MBA from the University of Rhode Island, and a PMP from the Program Management Institute (PMI). In late 2018, the Ocean Observatories Initiative Prime Awardee transitioned from the Consortium for Ocean Leadership to the Woods Hole Oceanographic Institution. Lessons Learned from the collaborative transition are related to the selection and creation of a Program Management Organization (PMO), knowledge and responsibility transfer methodologies, and subaward management tools and techniques.